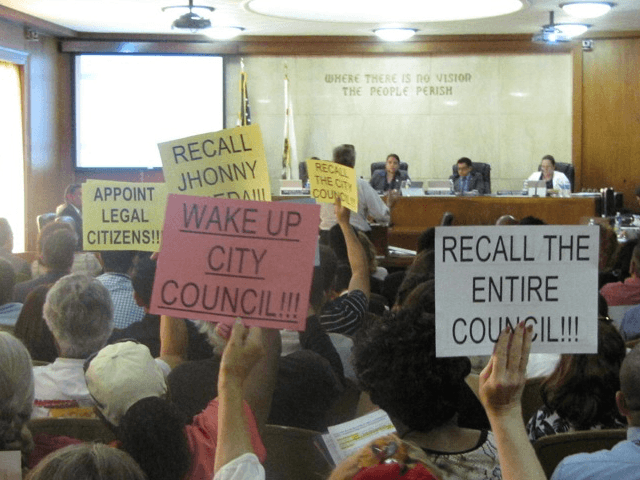 The Huntington Park City Council in southeast Los Angeles faced a massive public backlash Monday night against the August 3 appointment of two illegal aliens to city commissions. Outraged local residents filled a packed council meeting to overflowing in protest at the council’s move. As Breitbart News reported earlier this month, Julian Zatarain, 21, was appointed to the Huntington Park parks and recreation commission, while Francisco Medina, 29, received appointment to the health and education commission. Public comment at the city meeting was opened up on Monday to both those in support of, and opposition to, the controversial appointments. Speakers approached the podium for three minutes apiece. Francisco Rivera, who has lived in the Huntington Park area for 35 years, told the council that he opposes the appointments of the illegal aliens. Rivera, who volunteers in the community cleaning up graffiti, addressed the council while still wearing his reflective vest and carrying his work gloves. Chanell Temple, from a group called Blacks for Equal Rights, also opposed the appointments and rejected a comparison that had been made between black slaves and illegal aliens. 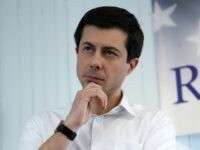 Several mentions were made of 2016 Presidential candidate Donald Trump during the three-hour meeting. The comments supported the idea that Trump would introduce greater border security and immigration law enforcement. Two speakers described their current status as “undocumented” while taking their turns at the podium, and spoke in favor of the appointments. In the course of the meeting, one council member, Valentin Amezquita, left his seat at the front of the room to address the rest of the council from the podium. He stated his opposition to the appointments, in contrast to the remaining four members of the council.